This article is concerned with demonstrating the power and simplicity of sww (special weakly wandering) sequences. We calculate an sww growth sequence for the infinite measure preserving random walk transformation. From this we obtain the first explicit eww (exhaustive weakly wandering) sequence for the transformation. The exhaustive property of the eww sequence is a “gift” from the sww sequence and requires no additional work. Indeed we know of no other method for finding explicit eww sequences for the random walk map or any other infinite ergodic transformation. The result follows from a detailed analysis of the proof of Theorem 3.3.12 in the book S.Eigen, A.Hajian, Y.Ito, V.Prasad, Weakly Wandering Sequences in Ergodic Theory (Springer, Tokyo, 2014) as applied to the random walk transformation from which an sww growth sequence is obtained.We explain the significance of sww sequences in the construction of eww sequences. 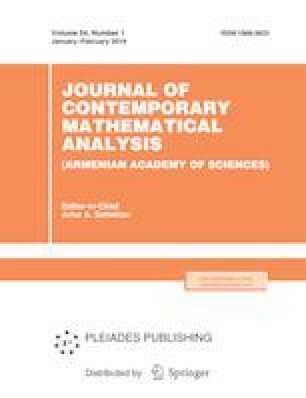 Russian Text © S. Eigen, A. Hajian, V. Prasad, 2019, published in Izvestiya Natsional’noi Akademii Nauk Armenii, Matematika, 2019, No. 1, pp. 3–13.